Surprise, my daughter picked this blaster, retail version up at target for me. Have not seen the show. Cons: crazy parallel odds, box & wrapper design (maybe too much bright yellow), no chance at a autograph with retail, and extremely poor base collation. Five blasters still 10 cards shy a set. WARNING!!! What a nice surprise. 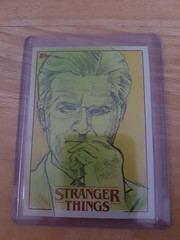 Nice pull on the Steve Harrington patch. Some great parallel pulls too. Anybody open a hobby box please post!!! Looks like hobby boxes are not released until 23 November. Got an artist return in the post today and bought another couple. Picked up a blaster when I was wal-mart for the fun of it. Overall a fun little blaster. Might pick up another and trade to finish a base if I don’t make it! I did pick up a second blaster. 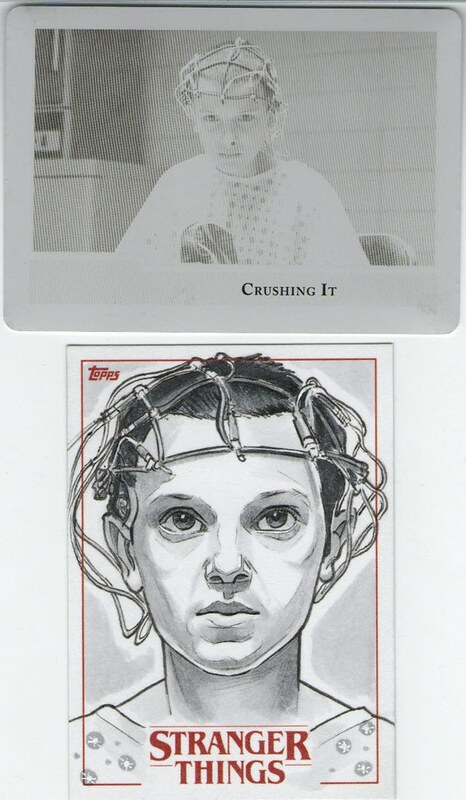 4 cards shy of a base set and 4 cards shy of the 20 card sticker set. Got 2 new character and 2 new 10 card sticker set cards. The patch was of psp of Shepard. Going to throw a trade list up to get those last 4 base cards then I am done! Well, the ADVISORY was issued. However, you did better than me. Five blasters and still 10 cards shy on two sets. UGGH!!! Thankfully, I just completed a trade to finish the two sets, and made progress on the chase and stickers. LMK what four cards you need. 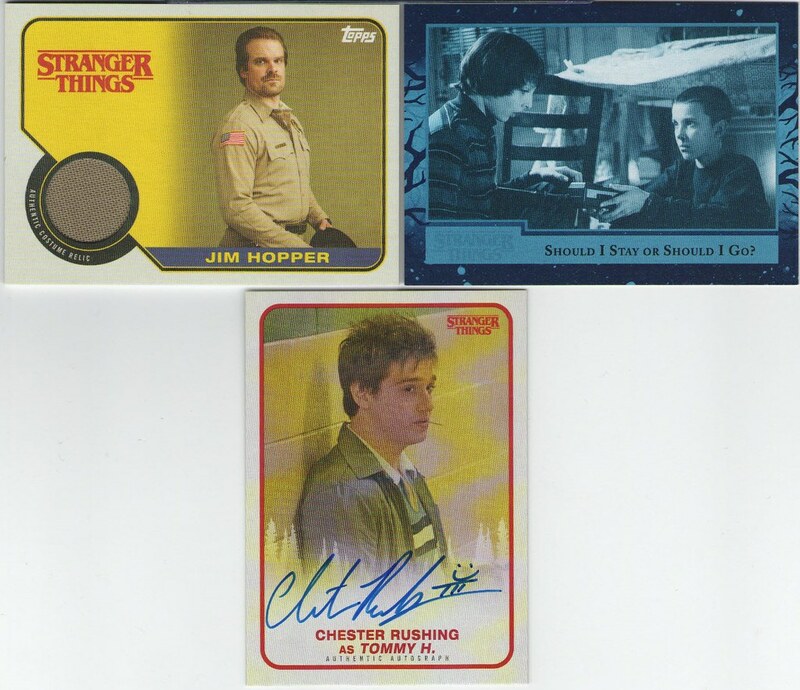 1 autograph card of Chester Rushing as Tommy H.
I've got another box coming and will post that once I break it! Please note the updated email address in my profile! I got my other box today and did really well with it! 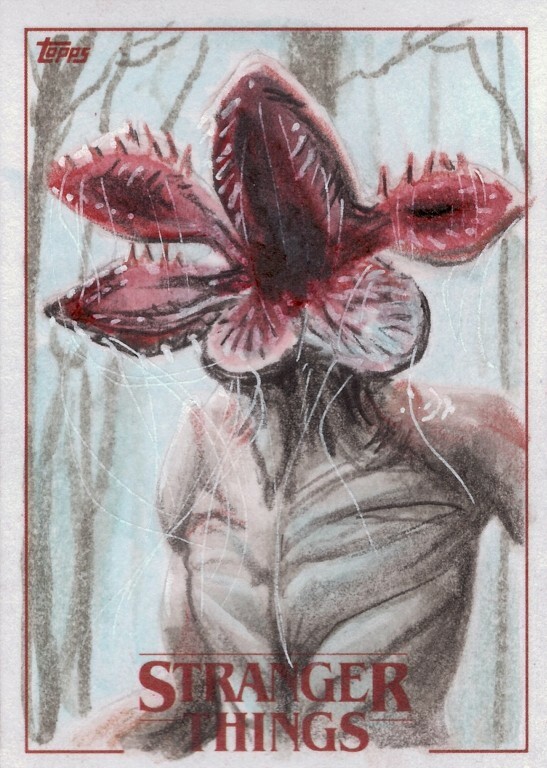 I just saw today that Topps announced that Series 2 is to be released in April! Here's the breakdown from the contest box I received.